In the old days, a charm quilt was one in which there was no fabric used in more than one block. 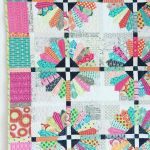 Think of the old Postage Stamp pattern quilts, all those tiny squares, often hand-sewn together from bits and pieces of clothing, feedsacks and fabric scraps. I love the idea of a charm quilt, especially the concept of using the maximum variety of fabrics in a single quilt. Today, with modern quilting fabrics, many companies offer “charm packs” consisting of small cuts of an entire collection of fabrics. 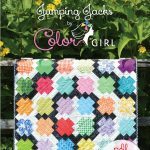 The packs can be 10″ squares, 5″ squares, or 2 1/2″ squares, and although most have repeats of some of the fabrics, they are a fun way to get a variety of prints without buying the typical minimum 1/4th yard. Charm squares are ideal for beginner quilters or a quick make for a baby shower or gift quilt or if you don’t like keeping a “stash” of fabric. 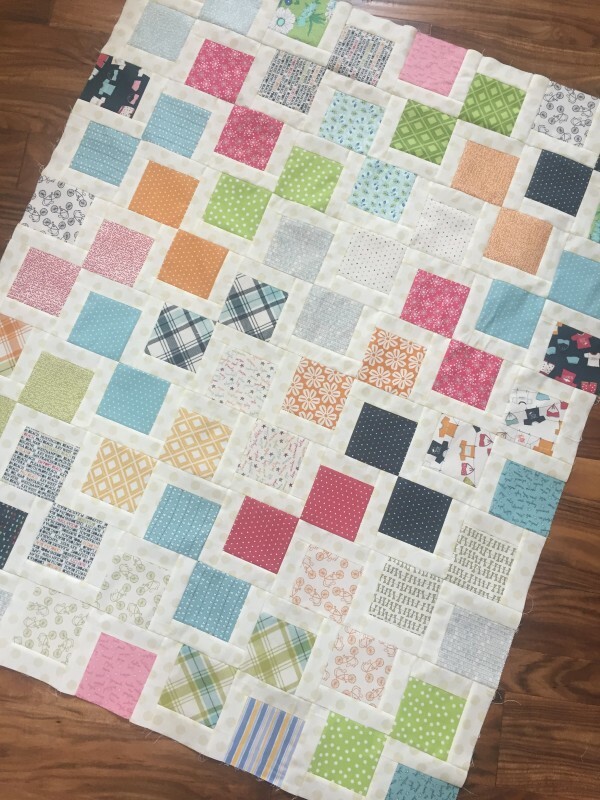 I have made several fun quilts with charm packs…they are relatively inexpensive and you can do a lot of different patterns with them by adding some neutral yardage. 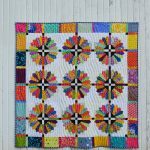 Shown above, the Flying Kites pattern, only takes one charm pack of 42 5″ squares, in addition to some solids and yardage for the border. This is a quilt made with the Reflections pattern. This one uses two charm packs of the same prints plus the light fabric for the strips. 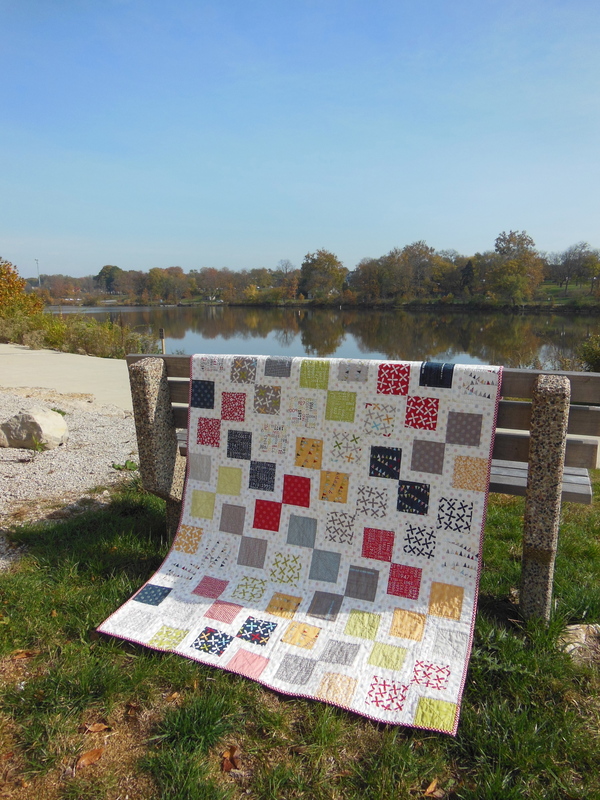 Using charm packs allows you to make a “scrappy” quilt but is an affordable alternative to buying larger quantities of fabric and having unused leftovers. Sew small triangles to all four corners, making a snowball block (octagon shape). 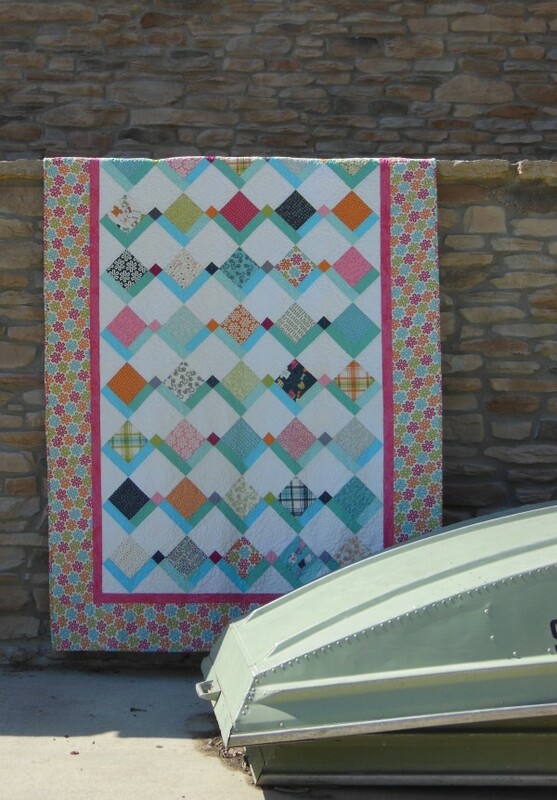 Sew larger triangles to all four straight sides, making a square-in-square or “economy” block. Cut the square in half to make two rectangles, then piece them together off-set like brickwork. Cut squares in half on diagonal to make half-square triangles, then mix up all the prints and sew them back together to make squares.